Lass, Moses, Ramp & Cooper LLC | Experienced. Effective. Trusted. Lass, Moses, Ramp & Cooper LLC | Experienced. Effective. Trusted. Lass Moses & Ramp LLC is now Lass Moses Ramp & Cooper LLC! The firm is proud to announce the addition of Trish Cooper, a well-known and well-respected family law attorney with over twenty years’ experience negotiating and litigating on behalf of clients. 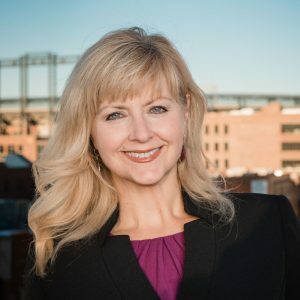 Trish – a former Manhattan prosecutor, former Chair of the Family Law Section, AAML fellow, and honored in publications such as Best Lawyers, 5280 Magazine Top Lawyers, and Colorado Super Lawyer including Top 100 and Top 50 Women Lawyers – is a strong addition to the growth of one of Denver’s preeminent family law firms. Lass Moses Ramp & Cooper LLC is a highly respected family law practice that can help guide you through life’s toughest challenges. Lass Moses Ramp & Cooper LLC is focused solely on family law, bringing sophisticated legal expertise and tailored personal attention to our clients. With Lass Moses Ramp & Cooper LLC, what you see is what you get: a talented, trusted team of attorneys who will tackle your most difficult problems with the highest level of legal service and an unwavering commitment to protecting the best interests of our clients and their children.